3D Trading – We search for a correction that is about to end. It makes sense because if we see a trend on a specific time frame than we are likely to be already too late to make an entry. Our objective is to enter the market at the end of a correction. Our prime target is the end of waves 2 or B. We determine the most likely price zones for the end of the correction using our Square of 9, pattern, divergence & Elliott Wave analysis as well as price and time projection. 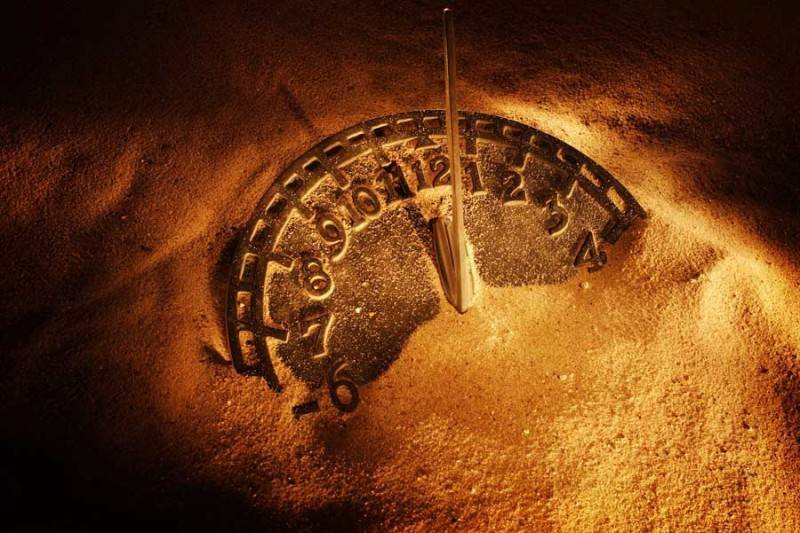 When price reaches those projected zones, we go to shorter time frames. We look to see if the pattern appears complete. We once again use the same projection techniques that we previously used. We base our analysis on all of our available tools. After we see that the pattern on the short time frame appears to be complete then we look at our oscillators for an entry. 1) We look at the W%R and establish what time frames will signal our entry. We patiently wait for both signals. 2) We enter using the two halves technique meaning that the first half will be exited when we gain as many pips as we risked (usually). At the time of our first half’s exit we might move the stop loss of the second half. We will exit the second half based on the higher time frame’s W%R. 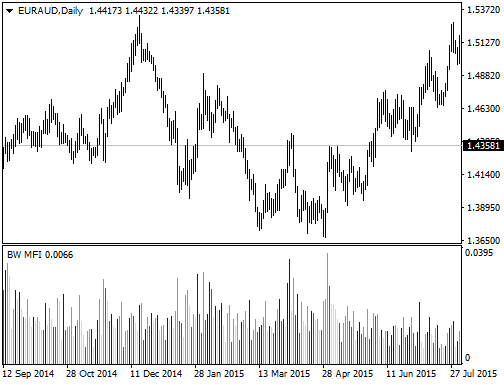 – A trend usually unfolds in a 5 non-overlapping wave pattern. – A trend usually goes in the same direction of the higher degree trend. 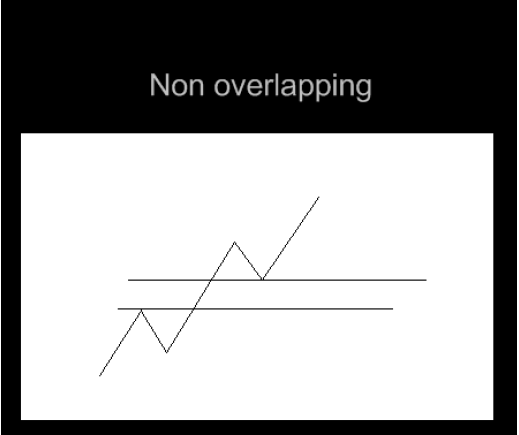 – A correction usually unfolds in an overlapping pattern and goes in the opposite direction of the higher degree trend. often than not it is making a correction. 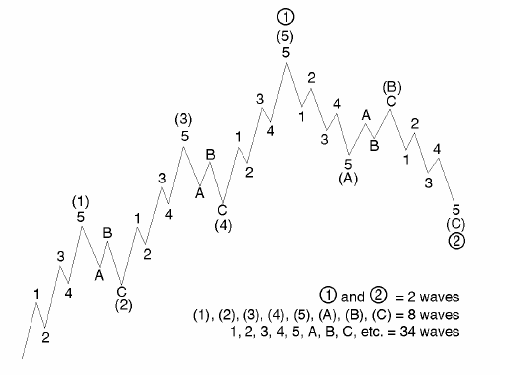 Elliott’s pattern consists of “impulsive waves” and “corrective waves.” An impulsive wave is composed of five subwaves. It moves in the same direction as the trend of the next larger size; a corrective wave is divided into three subwaves. It moves against the trend of the next larger size. 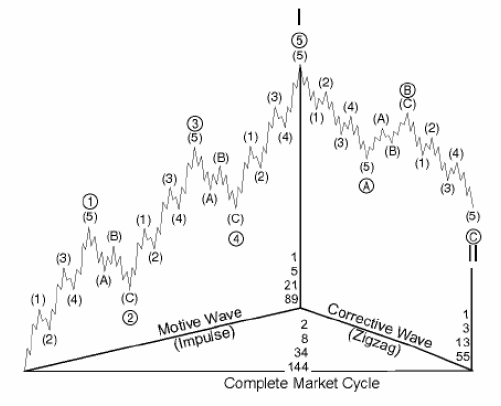 again, a three-wave correction of the same degree occurs, labeled as wave 2.Note that regardless of the size of the wave, each wave one peak leads to the same result a wave two correction. Within a corrective wave, subwaves A and C are usually smaller-degree impulsive waves. This means they too move in the same direction as the next larger trend. (In Figure 2 below, waves A and C are in the same direction as the larger wave (2). )Note that because they are impulsive, they themselves are made up of five subwaves. 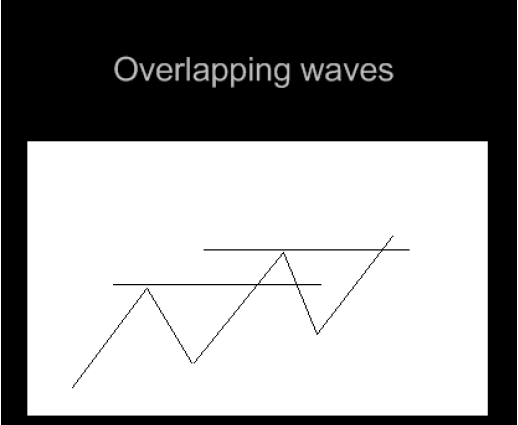 Waves labeled with a B, however, are corrective waves; they move in opposition to the trend of the next larger degree (in this case, they move upward against the downtrend). These corrective waves are themselves made up of three subwaves. 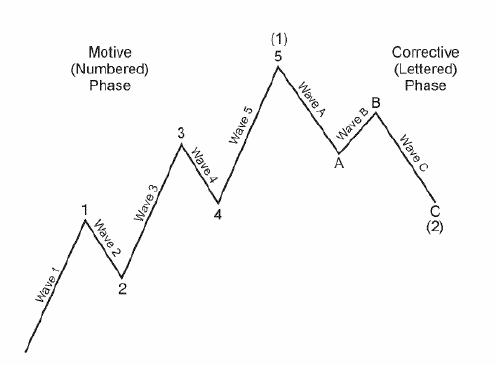 It is important to remember that Elliott Wave is not a method but more a theory and a great way to analyze the market. The most common type of correction is a 3 wave correction. 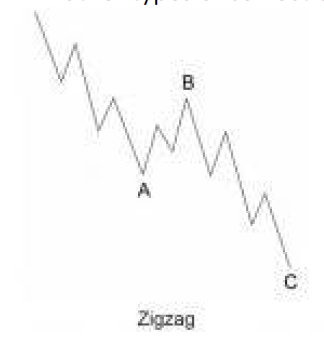 – According to Elliott wave theory a 3 wave correction could be either a Zig-Zag or a flat correction; for simplicity I will refer to all 3 wave correction as an A-B-C correction. – All other types of corrections will be referred to as complex corrections. Zig Zag – made of 3 waves; A – B – C.
Wave A divides into 5 sub waves, wave B divides into 3 sub waves and wave C divides into 5 sub waves. – Wave B is usually 38.2% or 50% of wave A. – Wave C is usually 100% or 161.8% of wave A. 1. Wave C should go beyond the extreme of wave A.
range of wave A; at that point the bare minimum conditions for a correction are complete. 3. Once price surpasses the extreme of wave B, we assume that the correction is over. To Read more,Please download the book. What Moves the Currency Market? Are Supply and Demand Driving Stock Prices?